All too often blueberry muffins are a disappointment. 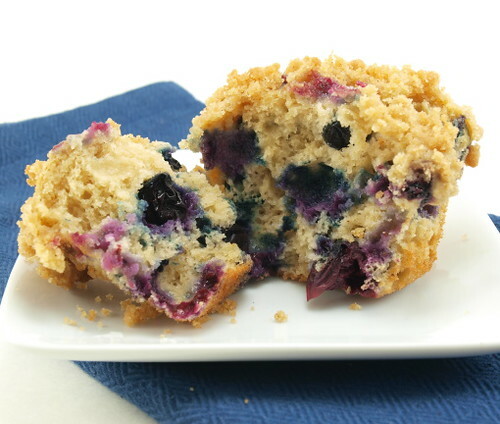 Blueberry muffin recipes are often too dry, not fluffy enough, stained violet, or all the berries sink to the bottom. The struggle for the perfect blueberry muffin led me through a gauntlet of unhappiness and bad muffins, but I am happy to report that I won the battle. 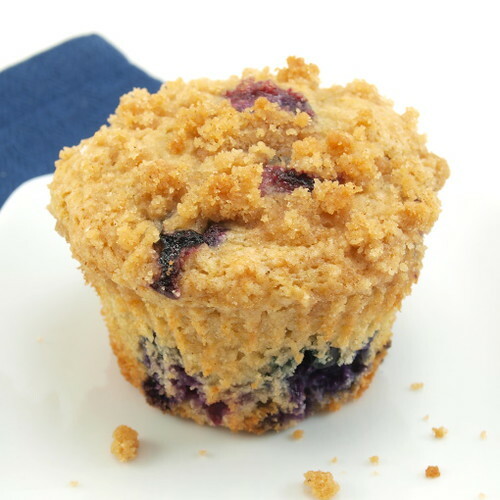 This recipe produces a tender muffin with an even distribution of berries. 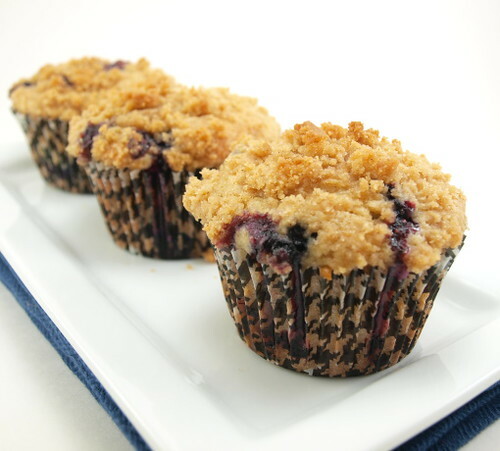 To make these muffins even better I added a buttery crumb topping, because nothing makes me happier than excess. 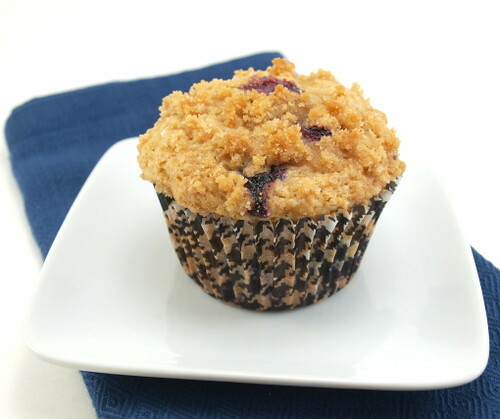 There are two tricks to making perfect blueberry muffins. First, as with any muffin, over-mixing will make your muffins like little rocks. I fold my ingredients together, and then I only mix until the dry ingredients are just moist. Lumps are perfectly acceptable in a muffin batter and will bake out. Second, coat your berries in a little flour, and add them half way through folding the wet and dry ingredients together. The flour, as you may know, helps to keep the berries from sinking. The batter is also fairly thick, so between the viscosity of the batter and the coating on the berries they stay pretty well in place. These freeze beautifully, so make a batch on Sunday and you have breakfast all week! 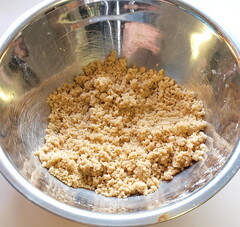 Begin by making the crumb topping. 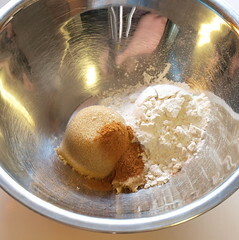 In a small bowl mix the brown sugar, flour and cinnamon until well mixed. Add the butter and rub it in until the mixture resembles coarse sand. Cover and chill until ready to use. 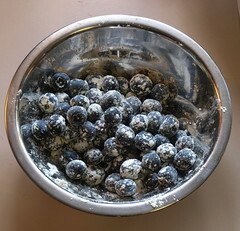 In a small bowl add the blueberries and 2 tablespoons of flour. Toss until the berries are evenly coated. Set aside. 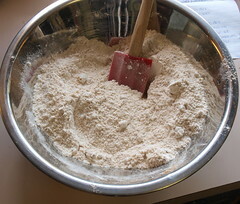 In a large bowl add the flour, brown sugar, baking soda, baking powder, salt, and cinnamon. Whisk until the mixture is well blended. Set aside. 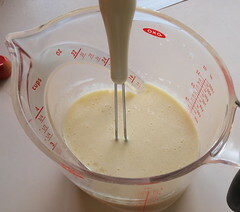 In a medium bowl whisk the oil, buttermilk, egg, and vanilla until well mixed. Pour the wet ingredients into the dry and fold them together. 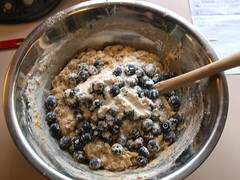 When most of the flour is moist add the blueberries and fold to incorporate evenly. 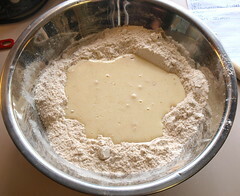 Scoop the batter evenly between the 12 cups. 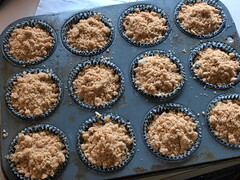 Top each with the crumb mixture. 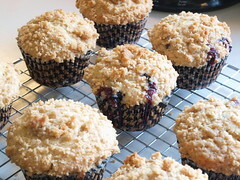 Bake for 18 to 22 minutes, or until the muffins spring back when gently pressed in the center and the tops are golden brown. Cool in the pan for three minutes before turning them out on a wire rack to cool completely.